the Floating Library – Page 2 – A lake-based library of artist-made printed matter. 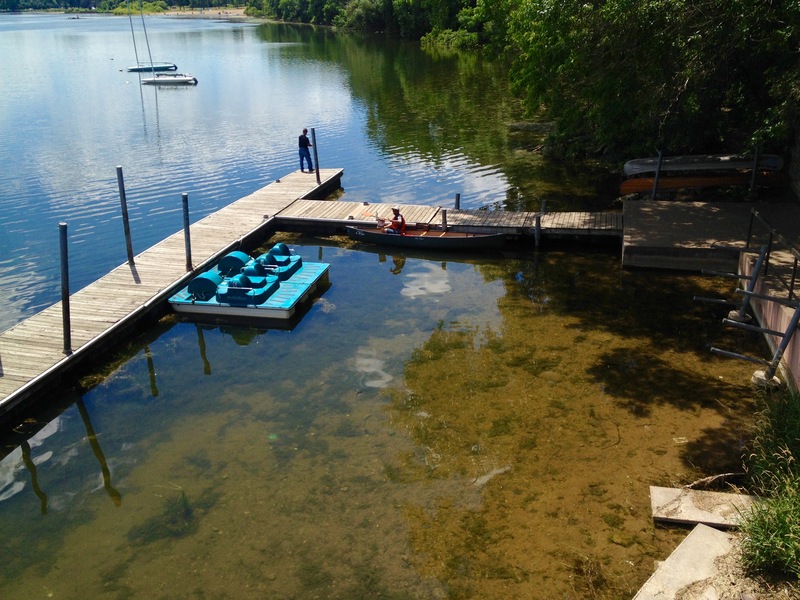 One of the true joys of working on the Floating Library project, aside from cleaning lake mud off the anchor and applying sunscreen every 15 minutes, is working directly with artists to help them realize new work based on the context of a lake-based library. Grants from the Knight Foundation and MRAC provide funds for commissioned works this year, and I’m excited to announce that the Floating Library is providing support to four stellar artists to create new books for the Library’s collection. Tou Yia Xiong is an illustrator and designer working across multiple creative disciplines. He has experience in graphic design, game development, and product design. By day he is an award-winning children’s toy designer. By night, he is a creative force, doing freelance work, exploring art community engagements, and tinkering on personal and collaborative projects. 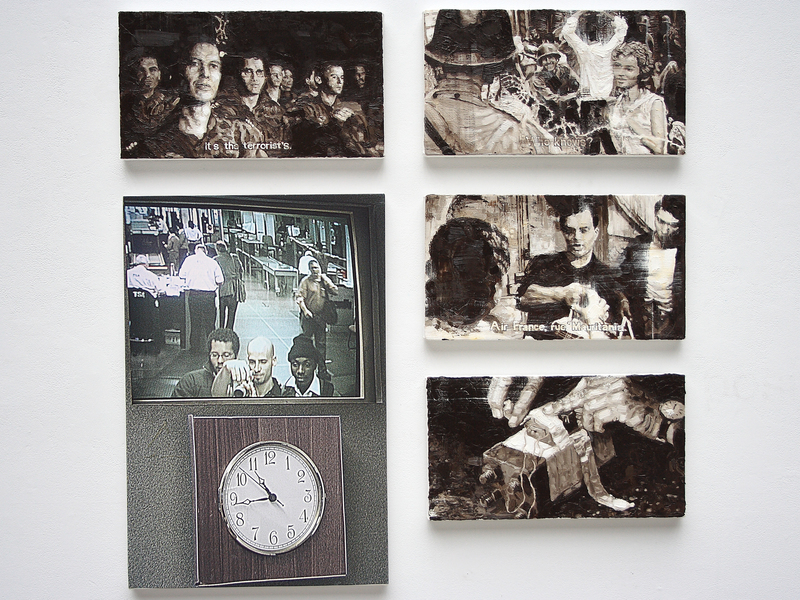 Caitlin Warner is an artist working in the realms of sculpture, printmaking and bookish things. Her work has been supported by a MSAB Artist Initiative Grant, the Made Here showcase and Minneapolis Institute of Arts. Some of Caitlin’s artist books are among the favorites of Floating Library visitors: Untitled (Love Letter) – text message conversation books, Untitled (Mirror Book) – the book made entirely of mylar, and A Manual for Modest Living – a palm-sized piece that reminds us of all we need to get through each day (inhale, exhale…). 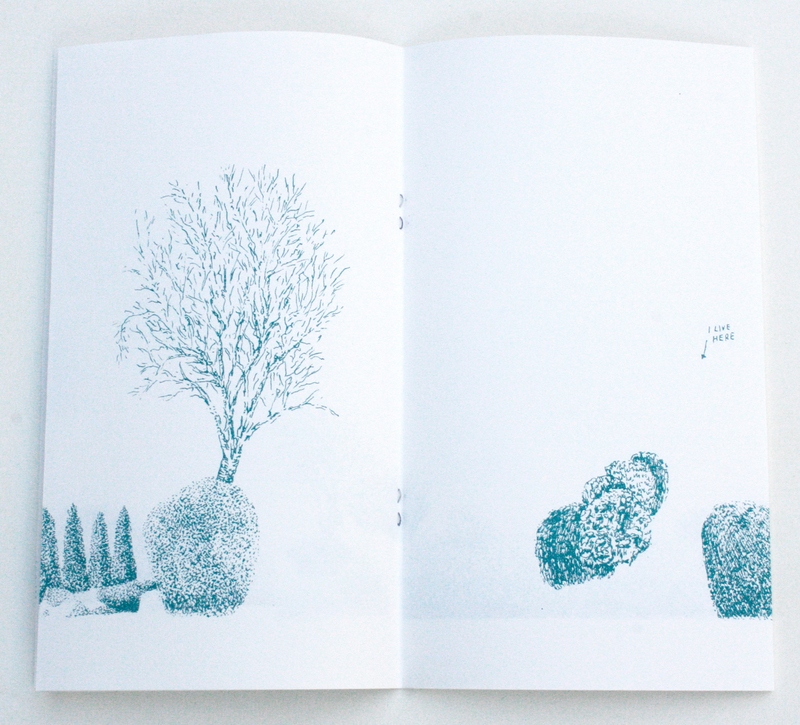 Martine Workman is a DC-based artist making books, drawings and animation. She has been participating in small press fairs across the country since 2004. She is a graduate of California College of the Arts. 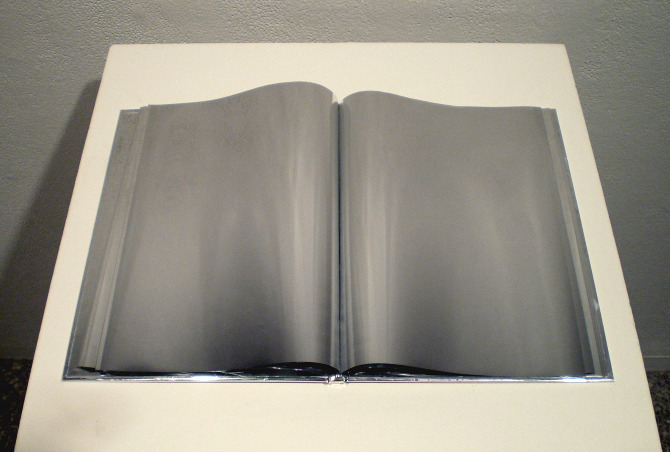 In 2013, she was a VCCA fellow and exhibitor at the New York Art Book Fair. In 2014, she was a Sondheim Artscape Prize semi-finalist, 3rd place Trawick Prize recipient and was awarded the DCCAH Artist Fellowship Grant for 2015. Martine’s fanzine Prince Food is an all time Floating Library favorite, and one that may need an honorary shelf this year. Aaron Johnson-Ortiz became an artist and organizer shuttling between southern Mexico, where he worked as a volunteer artist with Zapatista cooperatives, and the American Midwest, where he has worked with unions, immigrant rights organizations, and other social justice causes. In his personal art practice, he probes the liminal spaces in between history and fiction, as well as racial and national identities through narration and abstraction, using both visual and literary devices. For his Floating Library commission, Aaron is creating a his-story book that explores issues of exile, solidarity, and oblivion through the vehicles of water, light, and walking. Aaron is also the Artist-in-Residence at the East Side Freedom Library, one of the FL’s community partners for this summer’s programming. ESFL is a historic library building on St. Paul’s East Side with the mission to make St. Paul’s labor and immigrant histories accessible to everyone. Go visit them sometime! Stay tuned for in-process images and descriptions as they get into the studio and start designing, printing, folding, imagining. Get out your paper knives and warm up the copy machine. The Open Call for Books is open. Since the beginning of the Floating Library in 2013, the Open Call has provided the paddling public with exquisite and surprising works of book art. The response from artists far and wide who are willing to donate their works to the FL’s collection is what has made this project a success. Thank you, brave artists everywhere, for making beautiful things in the first place and sharing them, generously, with us. The deadline for submissions is June 15, but books will be accepted on a rolling basis until then. If you have questions about the submission process or if you want to talk about a book project you have in the works, email: thefloatinglibrary@gmail.com. 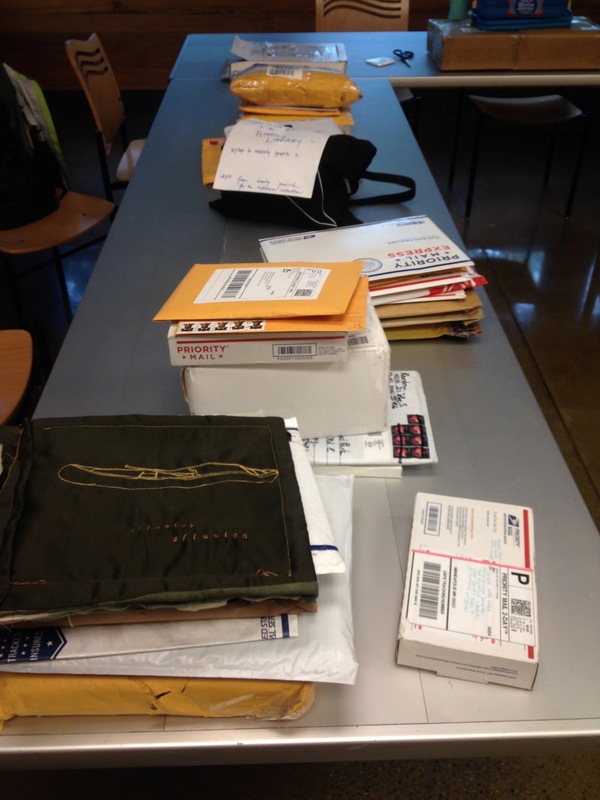 The result of 2015’s Open Call for books. 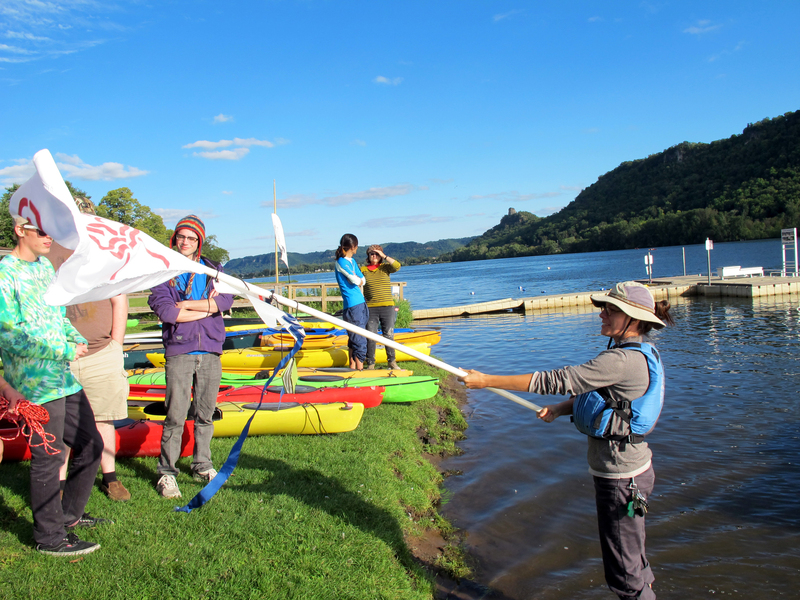 RAISE THE FLAG! FUNDING IS COMPLETE! Hooray! Thanks to many generous individuals, the FL’s final funding push made its goal this weekend. Now we’re set to gather up the Knight Foundation matching dollars. There’s a bit of paperwork ahead, but that can’t be harder than towing a raft with a canoe full of books in the wind during a downpour. 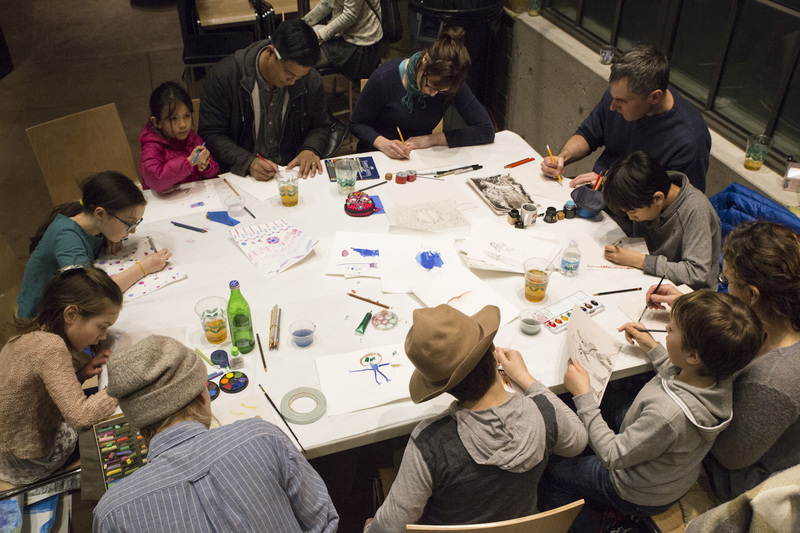 Drawing to live music at the Floating & Drawing Fundraiser on March 5. Photo by Jonathan Loyche. The ice is off the lakes and while the wind is still chilly, the bright spring light signals hope for warmer days. Tulips are coming up under the canoe in the back yard. Time to get in gear to get on the water! I’m happy to report that the Floating & Drawing Fundraiser I co-hosted in early March with my friends The Drawing Project was a great success. The afternoon was a bustle of activity, the tacos were delicious, the music was energizing and inspiring, the rare on-land exhibition of Floating Library books was packed all night, and the focus of the live drawers (young and old) was captivating. People made so many drawings we ran out of paper! And we drained the keg! Floating poet in residence Steve Healey announces the drawing prompts. Making books with Aki Shibata. Big thanks to Jonathan Loyche for being the night’s documentarian and tech assistant. See more snaps here. Biggest thanks to everyone to came and to your generosity that allowed us to reach our fundraising goal for the night. This, in addition to an MRAC grant the Library was awarded back in January, brings me very close to my overall fundraising goal of $10,000 necessary for Knight Foundations 1:1 match. I have only $3,000 left to raise! This is slightly more cash than I can find under the couch cushions so I’ve put up an online campaign. Take a look at the fancy perks –waterproof library card! a boat ride in the Sea Clamp! — and give if you can. And share with those you know who love books on water. Tacos and beer for your favorite floating book raft: fundraiser on Saturday, March 5! I recently got back from Los Angeles with my suitcase of books and a plastic duck after a weekend of reading artist books with hundreds of new friends in the SoCal sun and yes, I want to tell you all about it but first I have to raise some money! You may recall the news from the fall that the Floating Library is the recipient of a Knight Arts Challenge grant. 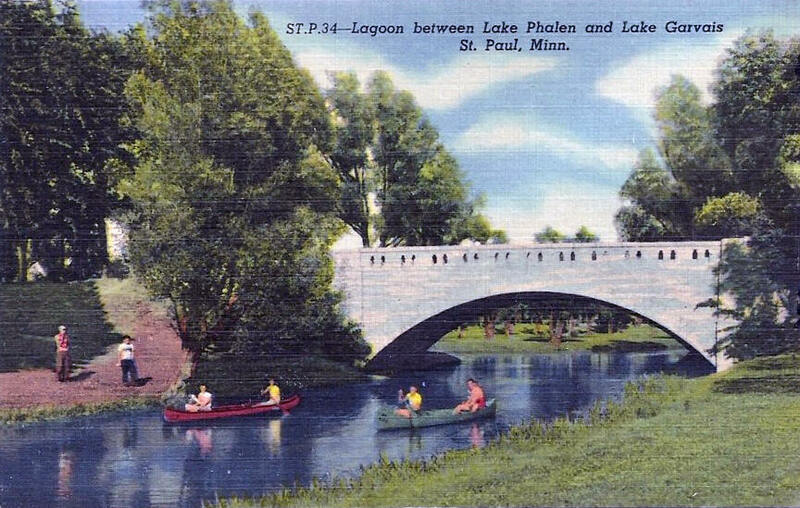 Well, if we’re going to get this thing on the waters of Lake Phalen this summer, it’s time to raise the matching cash. I’m making this easy and fun for you thanks to a lot of help and energy from my dear friends at The Drawing Project (also Knight winners). We’re joining forces to throw an afternoon into evening fundraising party next Saturday, March 5 at the Schmidt Artist Lofts in St. Paul. All proceeds get us closer to raising our match funds ($10K each) to keep these participatory arts programs alive. 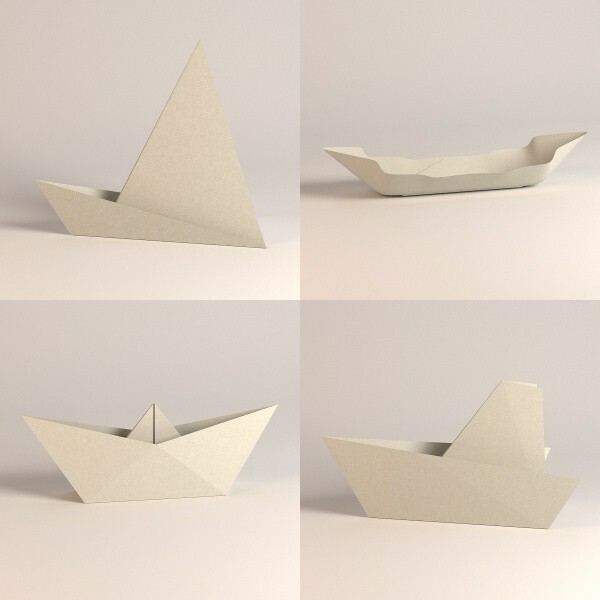 Learn to make these boats to float your books at Aki Shibata’s workshop. 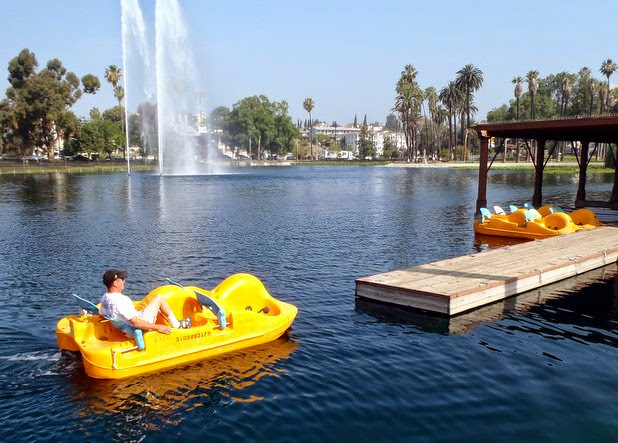 Don’t get us wrong, we like art on ice, but when the opportunity arose to launch the Floating Library in the warm waters of Echo Park Lake this February, we set straight away to get our ducks in a row for a Los Angeles presentation. Besides palm trees and sunshine the context for this is Printed Matter’s LA Art Book Fair, the massive, sprawly, inspiring, overwhelming, wonderful display of art books and bookish art that takes over MOCA Geffen for a long weekend. Rather than sit inside at a table, we’re taking to the water, naturally. Luckily there is a lake nearby; a lake that’s been featured in Charlie Chaplin films and Chinatown, and one that has hosted a lotus garden since the 1920’s, among other fascinating bits of history. 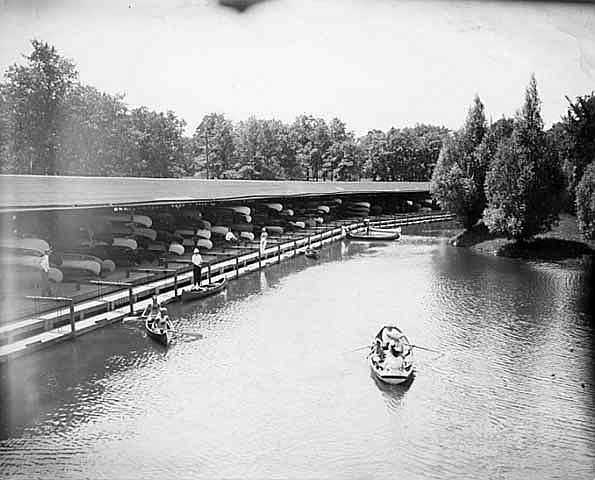 Further reason to be excited is that the watercraft available on this lake is the pedal boat — a form of water transportation the Library has not yet served though it is perhaps the most relaxed mode of water travel. The materials on view will be drawn from the existing Library collection as well as newly contributed and loaned works by LA-based book makers and designers. This is all made possible by our friends at Machine Project, the storefront for shenanigans down the street from Echo Park. Additional kudos are due to Bob Dornberger for building a raft based on Molly Reichert’s original design and to Becca Lofchie who’s been a champion of curatorial assistance, rallying LA book artists to loan materials to the Library. The Floating Library is a project by Sarah Peters, read more here. 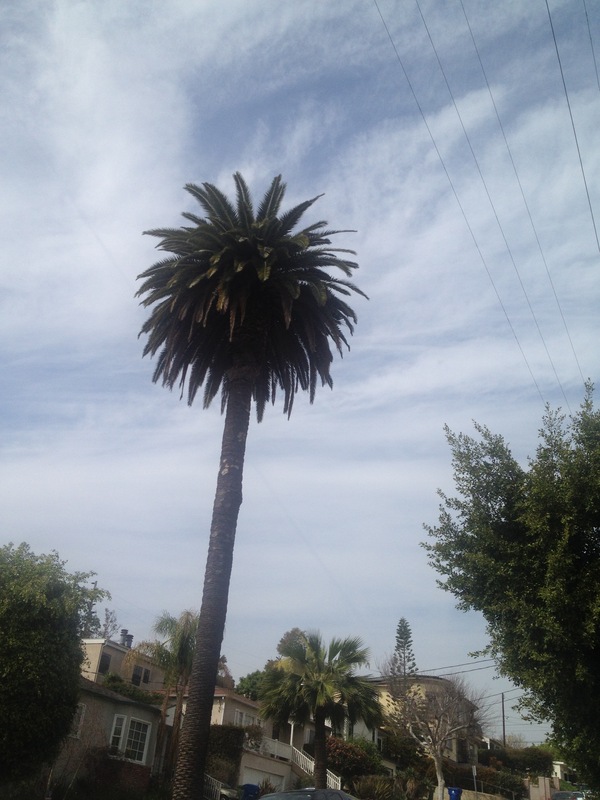 CALIFORNIA DREAMIN’, OR, F.L. IN L.A.
All of the lakes in Minnesota are frozen (finally) so we’re heading southwest for a bit of sunshine and some palm trees. 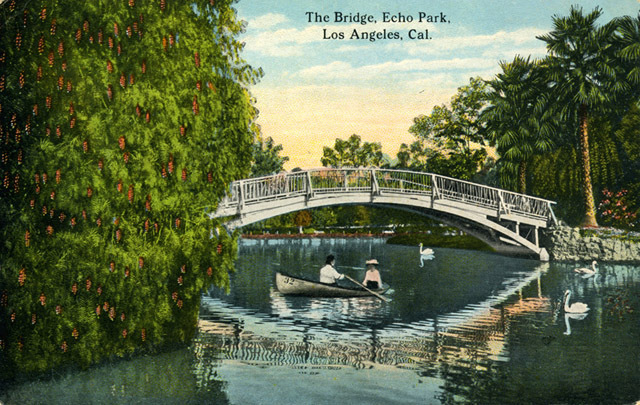 In partnership with Machine Project, the Floating Library will be anchored on Echo Park Lake February 11 – 14 during the LA Art Book Fair! When I opened my computer after four days in the internet-less woods of Northern Minnesota for the New Year’s holiday the first thing I saw was a flood of links and congrats for the Floating Library being named one of the Top 5 Standout Public Art Works of 2015 according to Andy Sturdevant at MinnPost. Thanks Andy, “more boats” indeed! I’m proud to share this accolade with some of the best Twin Cities artists I know, including Witt Siasoco, Molly Van Avery and Wes Modes*. Molly and Witt produced the beautiful and moving project THIS HOME IS NOT FOR SALE. Molly paired poets with families living in formerly foreclosed homes that are part of the City of Lakes Community Land Trust — a collectivized model for affordable home ownership. (It’s the only just way forward, read about it.) Witt designed real estate-style signs that feature each home’s poem coupled with an image. 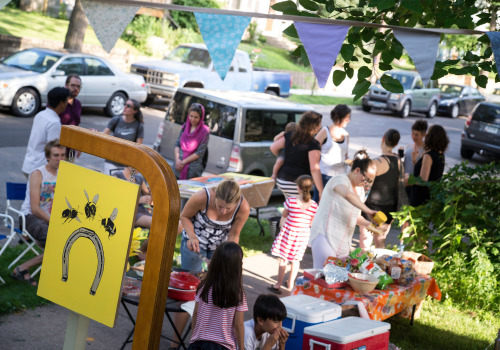 A summer’s worth of sidewalk bbq’s unveiled each front yard sign. Like a lot of artists who live here, I get frustrated sometimes at how small this place can feel, how there is a lack of deep conversation about certain kinds of art practice and how the “support local” movement can serve to isolate us in a way that demonizes institutions who support artists from elsewhere rather than only artists from here. I’m tired of that divide, and I believe deeply that cross pollination is how we’re all going to deepen our work, forge important connections and make change. But I’ll say that reading Andy’s post was a bright spot to start off the year (FL acknowledgements aside), that reminds me not to be discouraged about these troubles but to take our generous arts funding and keep pushing. So happy new year Minnesota artists (and all artists, everywhere). Keep making things, talking to each other, telling the truth, challenging. Criticize, offer support, reiterate, re-write, re-script. 2016, go. *Okay, so Wes of A Secret History of American River People technically lives in California, but the depth with which he dove into this community all the times he’s been here to traverse the Mississippi makes him a Minnesotan to me.